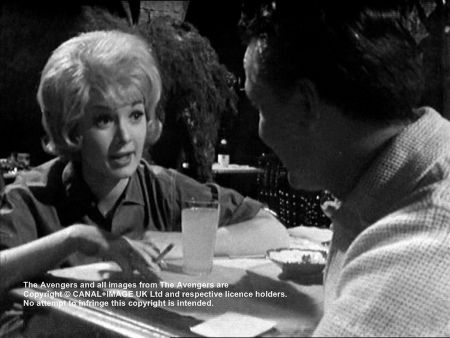 Steed worked with Venus Smith (Julie Stevens) on six cases between August 1962 and March 1963. Venus Smith, 26 years old, is a nightclub singer. She's a friend of Steed and likes him, but apparently, she has no or little idea about the true nature of the agent. 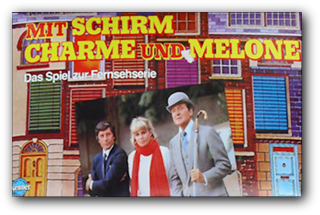 She has a natural character, is very curious and quickly gaining new friends, is a little adventurous, she likes to go places and the excitement that comes with John Steed. And she has the talent to get herself and Steed in trouble, especially as she does not think ill of people and often has not the slightest idea of what kind of people she's or Steed are dealing. 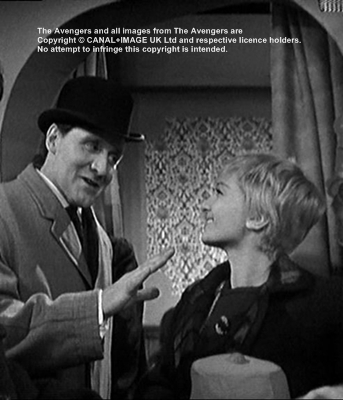 But these character qualities are advantageous for Steed, as they allow him to manipulate her very easily. Sometimes he brings her in quite dangerous situations, but often behave protectively like she is a younger sister. Since she is a bit naive, Venus seems harmless to others, which allows her to find out some information which are important for Steed. 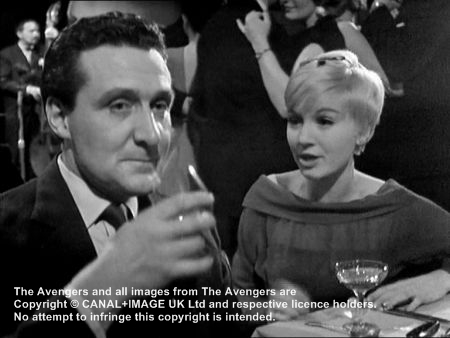 It's obvious that Steed is not interested in her as a woman, nor is she in him as a man, they just good friends. 51 actresses were auditioned for the part of Venus Smith, in the end there were three actresses: Angela Douglas, Vera Day and Julie Stevens. 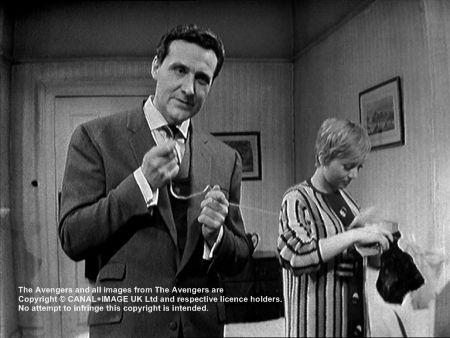 Sydney Newman and Don Leaver decided that Angela Douglas was their first choice, but the actress was not available at the time. After that decision was made to give the part to Julie Stevens due to her singing skills.